The Chicago, Burlington & Quincy Railroad purchased twelve Hudsons from the Baldwin Locomotive Works in 1930. 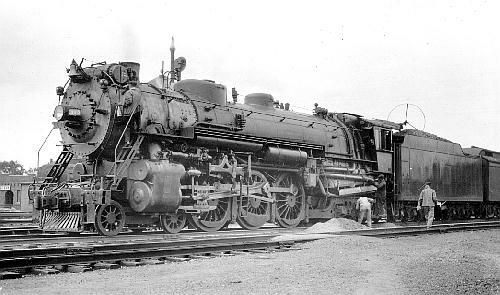 These 4-6-4's were designated Class S-4 and assigned road numbers 3000 through 3011. The CB&Q also built two Hudsons in its own shops and assigned them road numbers 3012 and 4001. There are five surviving CB&Q Hudsons and they are on display at locations in Iowa, Illinois and Wisconsin. Data from Corbin & Kerka (1960); "4-6-4 and 4-8-4 Type Power for the CB&Q", Railway Age, Volume 90, No 10 (7 March 1931), pp. 499-500; and locomotive diagram published on Vernon Beck's website --  (accessed 22 March 2003) CB&Q 3 - 1953 Locomotive Diagrams supplied in May 2005 by Allen Stanley from his extensive Rail Data Exchange. (Thanks to Chris Hohl for pointing out the error in renumbering for the second Zephyr-style streamliner; and for his 22 September 2017 email reporting unlikely boiler pressure values for 177 entries. A Locobase macro caused the error.) See also DeGolyer, Volume 81, pp. 329+. Works numbers were 61445-61446 in August 1930, 61500-61501 in September, 61525-61528 in October, and 61555-61558 in November. Twelve by Baldwin, a thirteenth (S-4A) by the West Burlington shops using a Baldwin boiler. 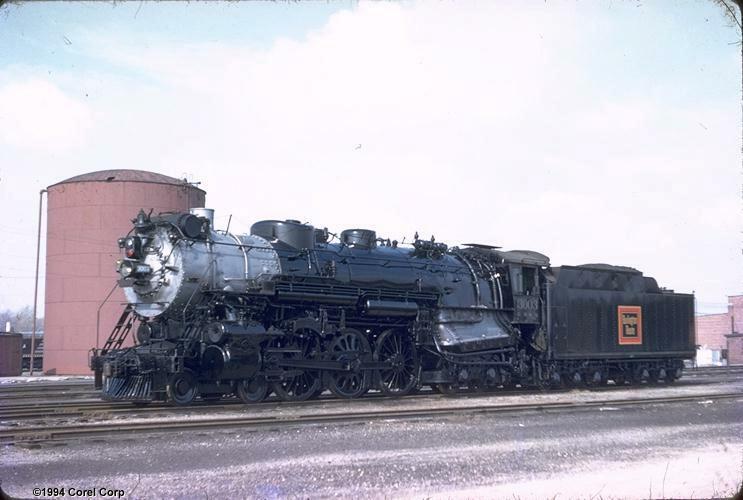 All but 4001 had Elesco feedwater heaters; 4001 had a Worthington. The engine bed was cast intergrally with the cylinders. Other goodies included a Barco Type 4 power reverse gear, Franklin trailing truck boosters, Type B stokers, and 14" (356 mm) diameter pistons. Firebox heating surface included 43 sq ft (4.0 sq m) of arch tubes and 70 sq ft (6.5 sq m) of combustion chamber. Corbin & Kerka wrote that when these locomotives went into service pulling such trains as the Ak-Sar-Ben, the Aristocrat, and the Black Hawk, the Burlington was able to do away with swapping one locomotive for another during the trip. One is credited with hauling ten standard passenger cars between Cochrane and La Crosse (Wis) at 112 mph (180 kph). The authors conclude "The 4-6-4 types were perhaps the some of the most successful locomotives used on the Chicago, Burlington & Quincy." One (3002) was streamlined to resemble the stainless-steel Zephyrs, renumbered 4000 and called Aeolus and nicknamed "Big Alice the Goon." After her success, a second was built from scratch and numbered 4001. The modification, dubbed S-4A, was more than cosmetic. The pair also received Box-Pok drivers and roller bearings in the lightweight side rods. Three more S-4s (3008, 3009, and 3011) received the running gear upgrades in 1938, but not the shrouds. They were renumbered 4003-4005.